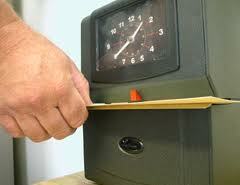 What are Counted as Hours Worked (Compensable Time) Under the Fair Labor Standards Act (FLSA) ? Under federal wage and hour breaks laws contained in the FLSA, compensable time ordinarily includes all time during which an employee is necessarily required to be on the employer’s premises, on duty or at a prescribed work place. Thus, you may be entitled to be paid for time in addition to your scheduled shift hours, tour of duty, or production line time. To determine if you are owed overtime pay we need to calculate your actual compensable time which may be different than what is appearing on your timecards or paychecks. Although the FLSA defines how to calculate the amount of compensable time, it may be complicated as to how it applies in a particular workplace situation. The Law Office of Rose H. Robbins, J.D. offers a free phone consultation to discuss the application of compensable time to your individual situation. (954) 946-8130. Or, you can use the direct email contact form at the bottom of this page to obtain a confidential consultation with attorney. When do Typical Problems Arise? Problems arise when employers fail to recognize and count certain hours such as lunches and breaks worked as compensable hours. For example, an employee who remains at his/her desk while eating lunch and regularly answers the telephone and refers callers is working. This time must be counted and paid as compensable hours worked because the employee has not been completely relieved from duty. a) Rest breaks of short duration, usually 20 minutes or less, are common in industry (and promote the efficiency of the employee) and are customarily paid for as working time. These short periods must be counted as hours worked. Unauthorized extensions of authorized work breaks need not be counted as hours worked when the employer has expressly and unambiguously communicated to the employee that the authorized break may only last for a specific length of time, that any extension of the break is contrary to the employer’s rules, and any extension of the break will be punished. b) Meal breaks. Under federal lunch break law (typically 30 minutes or more) employer does not need to compensate it as work time under certain circumstances. Thus, the employee must be completely relieved from duty for the purpose of eating regular meals. The employee is not relieved if he/she is required to perform any duties, whether active or inactive, while eating. 2.) Principles that are Applied to the Workday and Workweek to Calculate the Actual Number of Hours Worked? 4.) On-Call Time: An employee who is required to remain on call on the employer’s premises is working while “on call.” An employee who is required to remain on call at home, or who is allowed to leave a message where he/she can be reached, is not working (in most cases) while on call. Additional constraints on the employee’s freedom could require this time to be compensated. 5.) Sleeping Time and Certain Other Activities: An employee who is required to be on duty for less than 24 hours is working even though he/she is permitted to sleep or engage in other personal activities when not busy. An employee required to be on duty for 24 hours or more may agree with the employer to exclude from hours worked bona fide regularly scheduled sleeping periods of not more than 8 hours, provided adequate sleeping facilities are furnished by the employer and the employee can usually enjoy an uninterrupted night’s sleep. No reduction is permitted unless at least 5 hours of sleep is taken. 6.) Lectures, Meetings and Training Programs: Attendance at lectures, meetings, training programs and similar activities need not be counted as working time only if four criteria are met, namely: it is outside normal hours, it is voluntary, not job related, and no other work is concurrently performed. 7.) Travel Time: The principles which apply in determining whether time spent in travel is compensable time depends upon the kind of travel involved. 8. )Home to Work Travel: An employee who travels from home before the regular workday and returns to his/her home at the end of the workday is engaged in ordinary home to work travel, which is not work time. 9.) Home to Work on a Special One Day Assignment in Another City: An employee who regularly works at a fixed location in one city is given a special one day assignment in another city and returns home the same day. The time spent in traveling to and returning from the other city is work time, except that the employer may deduct/not count that time the employee would normally spend commuting to the regular work site. 10.) Travel That is All in a Day’s Work: Time spent by an employee in travel as part of their principal activity, such as travel from job site to job site during the workday, is work time and must be counted as hours worked. 11.) Travel Away from Home Community: Travel that keeps an employee away from home overnight is travel away from home. Travel away from home is clearly work time when it cuts across the employee’s workday. The time is not only hours worked on regular working days during normal working hours but also during corresponding hours on nonworking days. As an enforcement policy the Division will not consider as work time that time spent in travel away from home outside of regular working hours as a passenger on an airplane, train, boat, bus, or automobile. 12.) What does “Employ” Mean under the FLSA? By statutory definition the term “employ” includes “to suffer or permit to work.” The workweek ordinarily includes all time during which an employee is necessarily required to be on the employer’s premises, on duty or at a prescribed work place. “Workday“, in general, means the period between the time on any particular day when such employee commences his/her “principal activity” and the time on that day at which he/she ceases such principal activity or activities. The workday may therefore be longer than the employee’s scheduled time. If you feel that you have not been compensated for all the hours you have worked you may call the law office for a FREE strictly confidential consultation about your claim for minimum wage or unpaid overtime wage violations at: (954) 948-8130. Or you can complete the simple form below for submission to us. Please be advised that by merely submitting this form, no Attorney-Client relationship is formed with the law firm. You must provide your name, home or cell phone number, your email address and your zip code in the form. We look forward to discussing your possible minimum wage and/or overtime pay violations claim We are passionate about defending and enforcing workers’ rights for unpaid wages. Posted in Compensable Time, Lunch and other breaks and tagged compensable time under the FLSA, working lunch on January 17, 2016 by Rose H. Robbins.